Introducing Human Design, the revolutionary system that reveals the personality 'blueprint' of who you were born to be. Using the precise details of your birth, it's more accurate than astrology. And with a free CD you can map your own life chart, and those of your friends and family. You'll never read your horoscope again. Forget your sign, what's your design? Would you like to know how to make the best decisions and follow your correct path in life? Would you like to know how you best interact with people, both professionally and personally? Would you like to know who you really are? Human Design is an exciting new profiling system that answers all these questions by pinpointing your personality 'blueprint'. According to Human Design, we are each born with an inbuilt individuality as unique as our fingerprint - accessed simply from the date, time and location of our birth. Using this information, Human Design produces a 'life chart', revealing a remarkably detailed and accurate picture of your personality blueprint, including your strengths and limitations, people you work best with, how you communicate - in short who you were designed to be from birth. 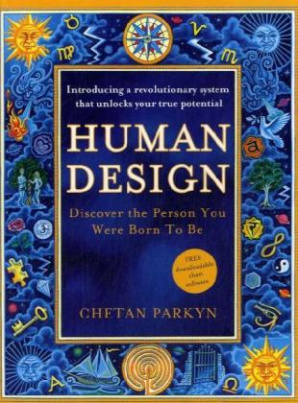 Chetan Parkyn, an ex-mechanical engineer, is the most successful practitioner of Human Design in the world. Here he launches his first book and CD as an introductory guide to interpreting your Human Design chart and how to apply it to your life to release your true potential. Once you know which of the 5 personality types you are, from there you can discover your detailed personality blueprint including:§- whether you are designed with creative or organisational energy§- your style of decision-making and how it can maximise your opportunities§-how you interact with people socially or fit into a team at work§- are you designed to be a guider or a follower§- how you emotionally and mentally respond to challenges and problem-solving§§The power of the Human Design system is surprising thousands of people around the world with its staggering accuracy and relevance, and asks the question: Are you living your Human Design?